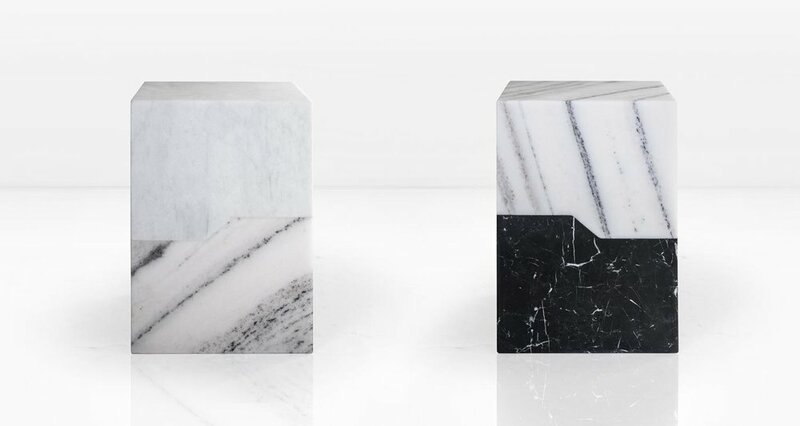 Two interlocking pieces of solid marble create the archetypal mass of the Terrell Side Table. Shown in Statuary, Nero Marquina and White marbles. Also available in other combinations.